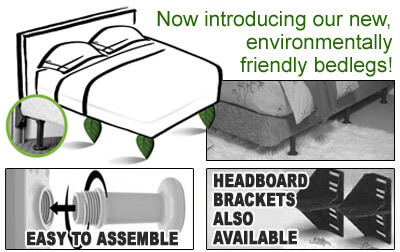 The Versa Legs are the ideal alternative to regular old wobbly and conventional squeaking bed frames. Available in a sleek Walnut color, the Versa Legs are stylish and can be used to either contrast or match any decor. 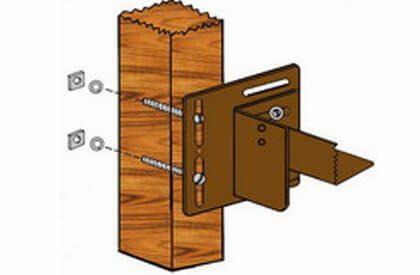 They are easy to install using only a power screw driver. 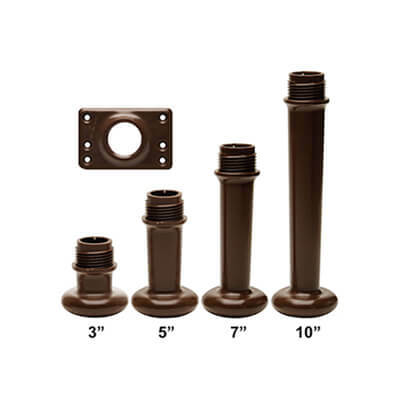 The free standing Versa Legs unique design allows them to fasten directly to the bottom of your box spring / foundation, Each one is individually mounted using two different pieces: A threaded base plate and the threaded bed leg. (Take note of leg count below for your bed size) The Versa Leg set allows you to completely customize the height of your bed with the choice of four bed stances 3, 5, 7 or 10 inch legs. 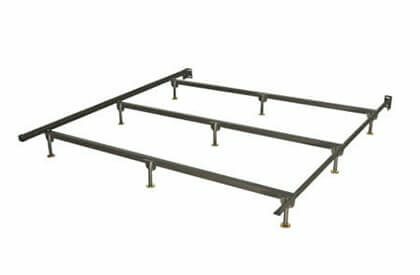 You don’t get this option with ordinary bed metal bed frames. Raise or lower the lower the current height of your mattress set to meet your needs. Benefits include easier cleaning underneath the bed on taller leg choices so you can remove those pesky dust bunnies that can collect. You can also lower your set for appearance, easy of entry, or to keep the mattress from blocking the aesthetics of your headboard. The most important thing is that it is strong. While many of us don’t need it to, it is so heavy duty it can even support the weight of a king size soft side waterbed. Imagine the possibilities. If Versa Legs can do that, it’s easy to understand that they can also support heavy mattress sets like gel memory foam, Dunlop or Talalay latex and much much more.Our most poplar application is the need to support customers from petite to yes even plus size and bariatric sizes. 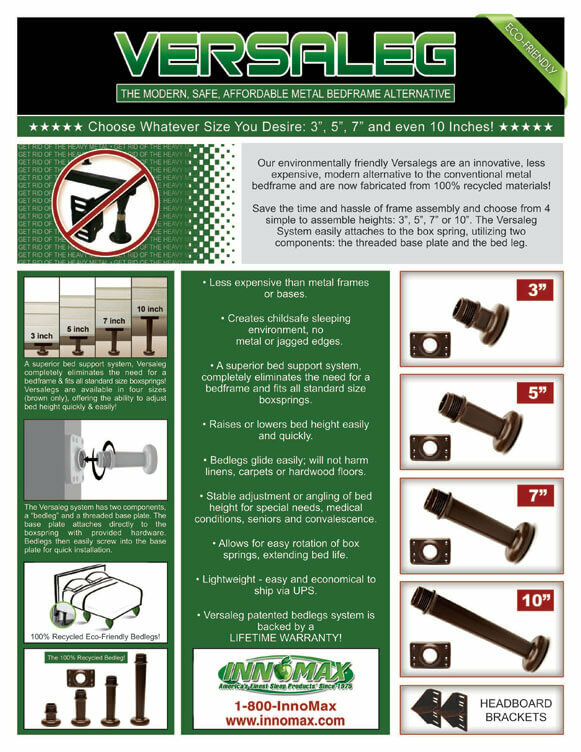 Are you looking to replace you steel bed frame with a heavy duty alternative? Do you want to raise or lower the height of your mattress to meet your needs? If so, our heavy duty Versa Legs are the product for you. Choose your leg height. Four sizes available in 3,5,7 or 10 inch tall to meet any need you might have. Put that step stool away not more climbing into bed. Lower the mattress set to the height needed. Add extra height to the foundation and mattress allowing for easier cleaning in and around the bed.